Find the light in others and hold on. Don’t let go. Trust that it is there. For all we know, it may be your hope that helps another bear. Seek understanding in yourself so that you can share with others. I remember when I was stuck, miserable and severely wounded emotionally. I could not figure out what I was doing wrong and felt like my world was turning upside down. For years, I played that broken record in my head: “they did this to me, I would be so much further in life if this hadn’t happened, woe to me.” Then, I decided enough is enough. If a change was going to take place, I needed to take ownership and understand the truth about how my self-defeating emotions, thoughts, and actions allowed other people to take advantage of me. After doing my own emotional work it felt like I had woke from a deep slumber and everyone had moved on with their lives. If I experienced this feeling, I assume that there are more people out there who feel the same way. When we reconcile our truth with our emotions and begin healing, time does not stand still and, yes, everyone will continue to live their own lives. We have to recognize that once we wake up there is always someone else in our life – personal or professional that needs our support as they begin their journey of healing. Tolerating other people while they are hurting or dealing with life challenges can be difficult, but the payback is quite rewarding. When someone else decides they want to change their life or heal, it is our duty to help them, especially if someone else helped you. When a person’s family, friends or society forsakes them because they burned bridges suffering from an addiction, chronic or acute mental health illness, cycling in and out of jail, etc. that is when they need to see the light of hope in you the most. Perhaps their hope is to change, seeing the love of Christ here on Earth. I make it a point to seek opportunities to connect with other people. When someone says, “Hello, how are you doing?” then I ask the question back and I listen carefully. I observe things that they do not say verbally but are saying with their body language. I ask questions for clarity and feedback about my observations. We spend the majority of our time working 8 hours a day, 5 days a week, or roughly 2000 hours a year. We sometimes have an intuition that something is different about our counterpart in the workplace. But do we say anything? Do we ask if everything is alright and if the individual needs our help? Perhaps their family is in distress trying to build their empire while dealing with one disaster after another. We all have lived it, balancing our careers and family. Dealing with family issues we care not to address. And trying to keep it together while being professional at work or for some being professional while struggling in your business or job. It can be discouraging and unbearable, especially if you are juggling it all, being strong, trying not to ask anyone for help. I believe the reach to someone who is suffering is just as small as the six degrees of separation mentioned in who we know. Some people think social media is so played out because enjoying real face time with real people can be very important to make those connections, especially for people who are hurting. However, this may be the only connection that some people have to the outside world. These interactions are indeed just as relevant as the face to face interactions that we have with each other. The hope is that these acts of compassion will ignite a movement and no one will be abandoned or feel alone in their times of need. Alicia is the creator of From Exile to EMBRACE with a mission to help Black entrepreneurs who are ready to write their breakthrough story to build a profitable business and make a powerful impact on the world. 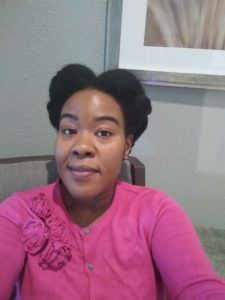 After being kicked out of a black church while facing a breakdown, forgiveness was my breakthrough in reclaiming my power, moving past the shame, traveling to Africa, getting married, and starting my family and business. Alicia created the forgiveness journal that has been used by men and women to help embrace their truth and move forward in their journey. Alicia has taken her personal and professional experiences as a licensed clinical social worker (LCSW) in Texas, author, transformational speaker, and consultant to help them overcome life challenges and mental barriers. Alicia has been featured in Incline Magazine, Voyage Houston Magazine, A Different Spirit Podcast and was a Brand Ambassador for Oprah Magazine. Follow Alicia across social media at the links below and connect directly with her via her website and email. 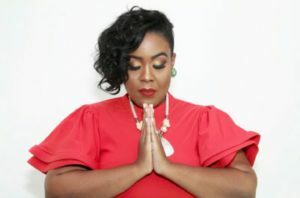 This entry was posted in Balance, Courage, Everything Global, Guest Blogger, Leadership, Relationship Building, Self Improvement and tagged alicia buchanan, From Exile to EMBRACE, guest blogger, healing, LCSW, Oprah magazine brand ambassador, relationships, social media.